Foot Love Foot Love a brand dedicated to Foot Care, love your feet! 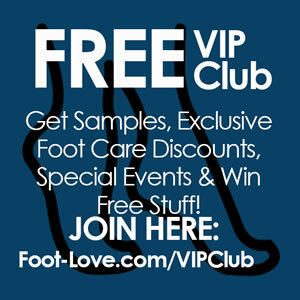 Welcome to Foot-Love.com a brand dedicated to looking after your very important feet and showing them some real love. We are going to be looking at some common foot issues and some remedies both medical and natural. Some people are very lucky, have great healthy feet and never have a problem, things like calluses, corns, hard skin, athletes foot, fungal infections, dropped arches (flat feet) are other peoples problems. Considering how much we rely on our feet we really do need to take of them, because if you've injured one or both your feet will know what it's like to have a problem in nearly every aspect of your life. This Foot Love site is going to be bringing you articles on foot care, natural solutions and more modern options for talking care of your valuable feet. As a sufferer of fallen arches myself I am well aware of what it is like to have feet pain and discomfort. You also to reminder a lot of these foot treatments are great, relaxing and help heal the spirit as well as the body. In Thailand foot massage shops and businesses are everywhere, while you're out shopping it is common place to stop for a foot massage. Believe me as someone who has always been embarrassed by his feet sitting in the street having a foot massage was the last thing I would consider until I tried it. Now I'm a regular customer. One of the first problems I had to tackle was terrible hard skin and calluses on the soles of my feet, it's a problem I've had most of my life and to be honest didn't think there was cure apart from regular trips to a podiatrist. So one of the products we sourced was a good quality electric callus remover and happily for me it worked, now I can rid myself of unsightly hard skin and calluses at home. So start taking care of you feet today, I hope you find my site useful. Love it!! Have suffered with bad callouses from 37 years of standing on my feet in the retail industry. Cleans off callouses amazingly well to give your feet a soft finish. So much better than a pumice stone or hand held scubber that require use everytime you shower. Would recommend this product to all my friends. It also has a Life Time Warranty. What more could you ask for! Wonderful product! Feet feel great. They haven't felt this good in fifty years. I have searched for a product that would take away that dry itchy skin. MY SEARCH OVER! Thank You Tailsman Retail for offering this great product.